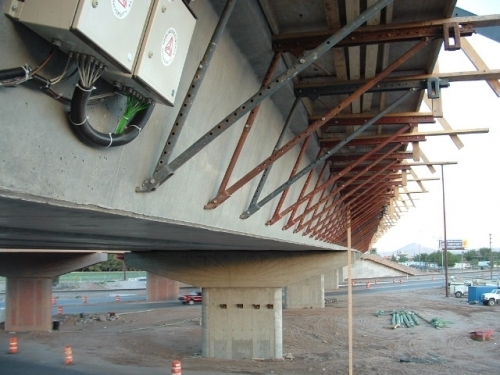 Previous bridge monitoring success with the New Mexico Highway Department resulted in the monitoring of the interstate highway bridge I-10 near Las Cruces, New Mexico. The I-10 bridge consists of five spans, and each span of six lines of pre-fabricated pre-stressed squeezed girders, with a cast-on-site superstructure. The girders cross-section has a “U” shape with wings. The girders were cast over pre-stressed strands in a prefabrication plant, and then steam cured over two days. After the cure was finished the strands were cut and the pre-stressing force brought in to the girders. 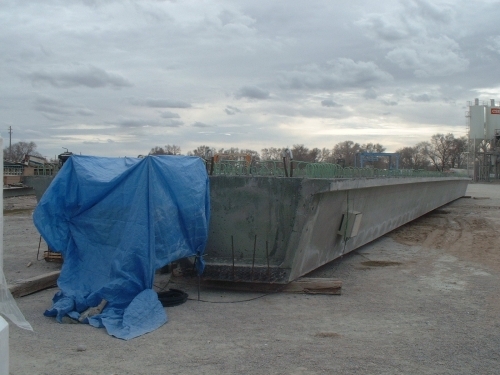 The girders were stored for two months and then transported on-site where they were put in place and covered by cast-on-site superstructure slab. 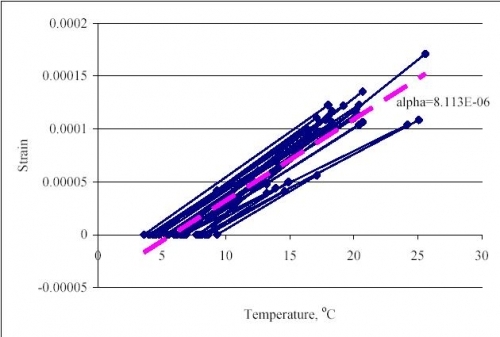 The monitoring parameters are average strain, average shear strain, average curvature, deformed shape and pre-stress losses. For this purpose it was decided to equip all the girders of the fifth span, laying on abutment, with sensors in different configurations. First two girders were fully equipped with sensors. Crossed sensors necessary to evaluate the average shear strain were installed in the cross-section closest to abutment. Three non-coplanar sensors were installed in five cross-sections over girders in order to monitor both horizontal and vertical deformed shape. Finally the thermocouples were installed in three cross-sections in order to measure the temperature variations necessary to separate thermally generated strain from structural strain. 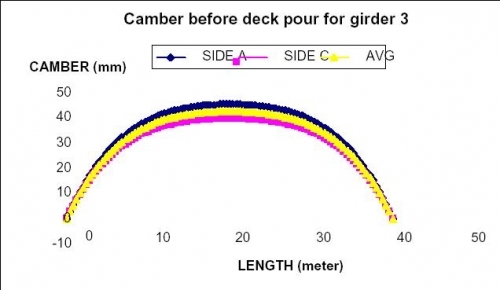 Other girders were equipped with fewer sensors that are used as control and redundancy. Data analysis is performed using the SOFO VIEW software. The sensors were embedded in the girders during the fabrication. Thus they provided for full-life measurements of girders, including the very early age and pre-stressing. The system is fully centralized, and measurements are performed automatically from a control room built on-site. Measurements started immediately after the pouring. In this way the early and very early age deformation were recorded during the first three days. 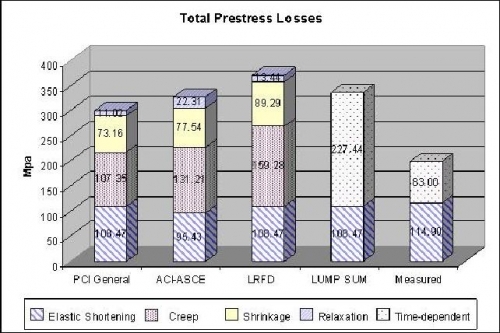 The deformation is later recorded during the prestress phase, after each strand was cut. Thus, real initial strain state of girders was stored. Continuous monitoring was also performed before transportation on-site, during transportation and during the pouring of the deck. In present, long-term monitoring is carried on. The results helped confirm both the theoretical models as well as the proper health of the bridge post construction. 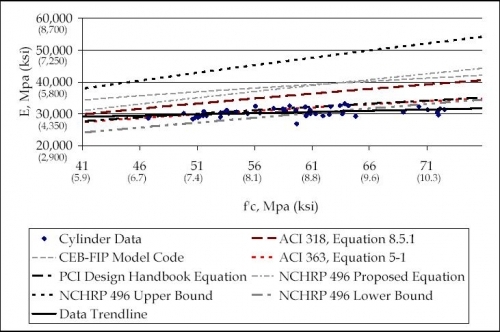 In addition concrete mechanical properties were calculated and compared to different models and codes.